I encourage you to try this exercise for yourself and see what happens when you put the World on pause. Hey, come here for a second. So, I’ve been right here waiting for you. Now that you’re here, have a seat. I want to share something with you that won’t seem that complicated. But in the next few minutes, I think you’re going to be blown away with how powerful one simple idea can be. But instead of just giving you a bunch of words, I’d like to actually take you through an exercise. Is that okay? It only takes a couple of minutes, literally. But you want to make sure you’re in a place where you can give 100% of your focus, just for the next couple of minutes. So if you’re driving, this is probably not the best time. If you have something else that needs your attention, go to focus on that. But if you’ve got about three or four minutes, then this could be really powerful for you. In fact, what you’re about it experience could be life changing. What I’m literally talking about is stopping time. I’m talking about putting the world on pause so that you can actually experience a moment of hyper-presence. And what’s so good about this hyper-presence? Well, hyper-presence is the only place that reality happens. Life doesn’t happen in the past or in the future. Life is happening right now. I mean, think about it. Did you ever wake up and you go, ahhh, here I am, it’s tomorrow. No, man, it’s always today. It’s always right now. And the most powerful people on the planet, the most creative people on the planet, the healthiest people, the happiest people on the planet are those who can actually live in the present. So if you’re up for this and you want to have yourself an experience of hyper-presence, then let’s get started. I’d like you to consider that right now you actually have no problems. Right now, I mean right now, there’s nothing that you need to worry about. 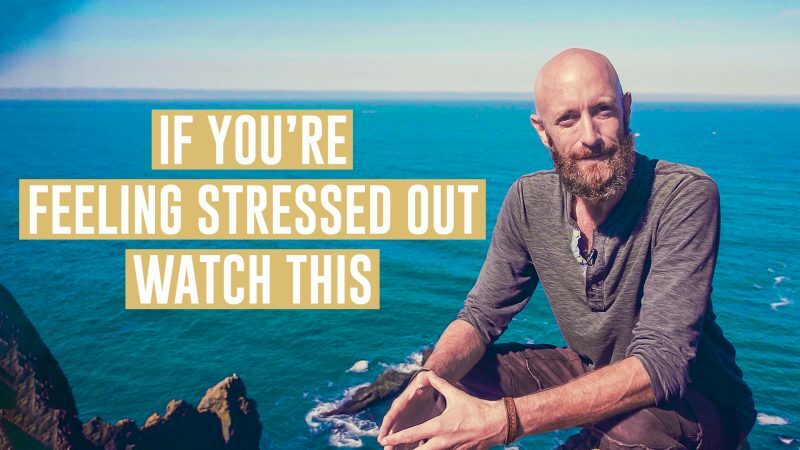 Now if something comes up that pulls at your attention, that you feel that you need to worry about or stress about, I would suggest to you that right now, that’s either something that’s already happened or it’s something that you are concerned is going to happen. That means that it’s either in the past or it’s in the future, which means, that it’s not right now. Right now, as you hear these words, as you and I have this dialogue, right now you actually have no problems. Sure, you can come back to them if you want, after this video. When we finish our conversation, you’re welcome to pick up wherever you like. But I want to suggest to you that right now you actually have no problems. You can allow yourself to relax, right now, and let the outside world just take care of itself for a few minutes. You have appointments with everybody else all the time. Why not have one with yourself right now? Allow yourself to just breathe freely. Just allow yourself to feel the seat that you’re on. Just allow yourself to notice the beating of your heart. Allow yourself to notice your present moment. Right now. And as you do this, you can begin to feel a sort of energy that’s inside of you. You can begin to feel, maybe in the pit of your stomach or your solar plexus; maybe in your heart. Maybe you feel it in your throat. Maybe you feel a tingling in your hands. But that energy that is available to you, that energy that’s always in you, that energy comes out to play when you put the world on pause. And you could call that energy whatever you like. Whatever word makes sense for you to try and describe the indescribable. Human beings have used lots of ’em over millions of years. But this is your experience right now. Everything’s actually okay. Right now, you are actually okay. Right now, there’s nothing you have to do, There’s no place else you have to be. For the next few moments you can just enjoy this experience of hyper-presence. You can just enjoy this experience of you being. When you get right down to it, that feeling of you being is enough. There’s nowhere else you have to get to in order to be enough. There’s nowhere else you have to run to. 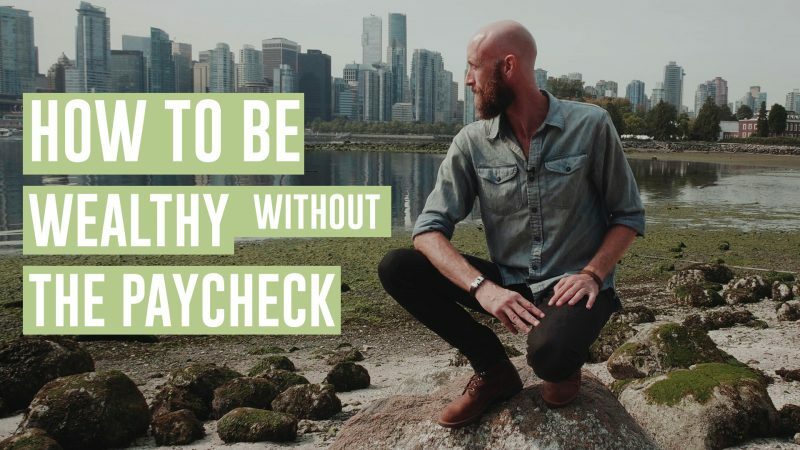 There’s nothing else you have to do in order to be enough. You are enough right now, right as you are. So take that in. That feeling of being enough. That feeling of the fullness of who you actually are. So just feel it. And you can come back to this feeling anytime you like because that feeling is always there. Thank you for sharing this moment of presence with me, for allowing me to share it with you. And I hope you have an amazing rest of your day. Thank you. 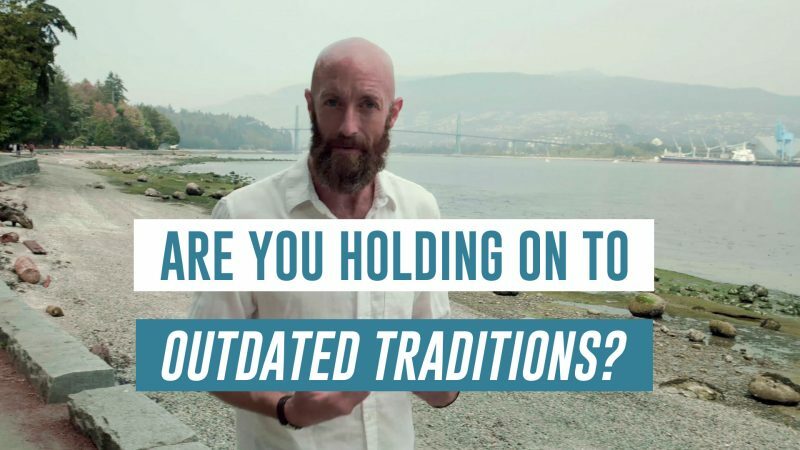 Mind Vitamin: Are You Holding On To Outdated Traditions? Mind Vitamins: Feeling Stressed Out? Watch This.